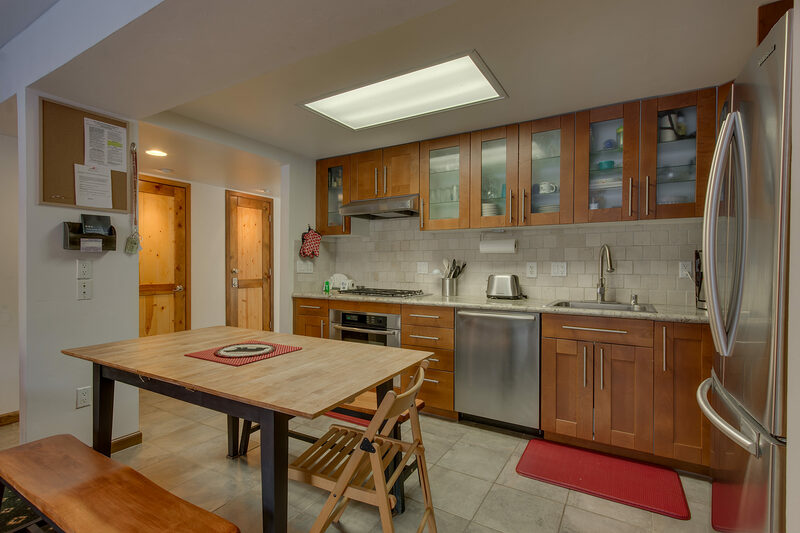 This renovated four bedroom, three bath Tahoe City vacation condo is the perfect getaway spot for eight guests. With excellent amenities and a convenient location, you’re sure to love Lake Forest! Relax in the entry level living room by the gas fireplace on the comfy leather sofa. Enjoy hot cocoa (or a hot toddy) while watching the large flat panel TV with cable. 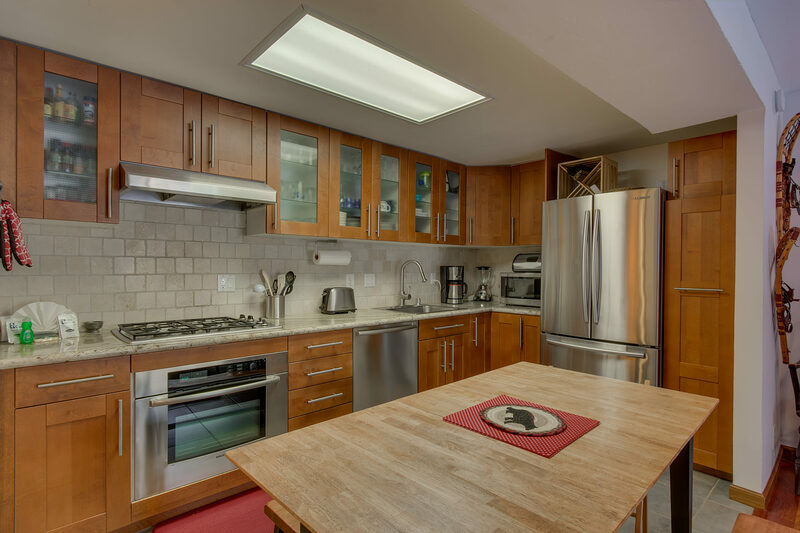 The open, modern kitchen has upgraded stainless-steel appliances including a dishwasher and features granite countertops, tile backsplash, plenty of cabinet space, and all the conveniences of home. Off the living area you’ll find a deck with a gas barbeque grill and plenty of sunshine. This level also has a bedroom with a queen bed and a bathroom. Upstairs are three bedrooms and two bathrooms. The large master features a king-size bed and a full bathroom. 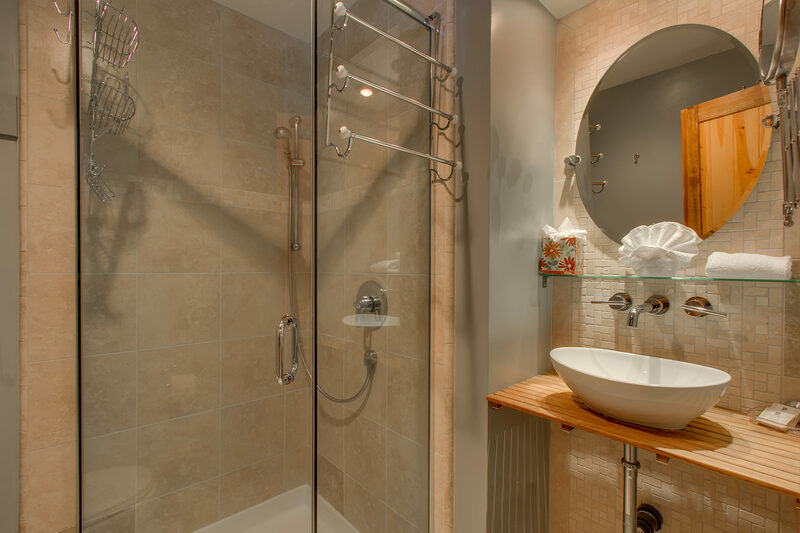 There is a bedroom with a queen-size bed, another bedroom with two twin beds, and the third bathroom with a tub/shower combo. Plenty of bed and bath linens are provided. 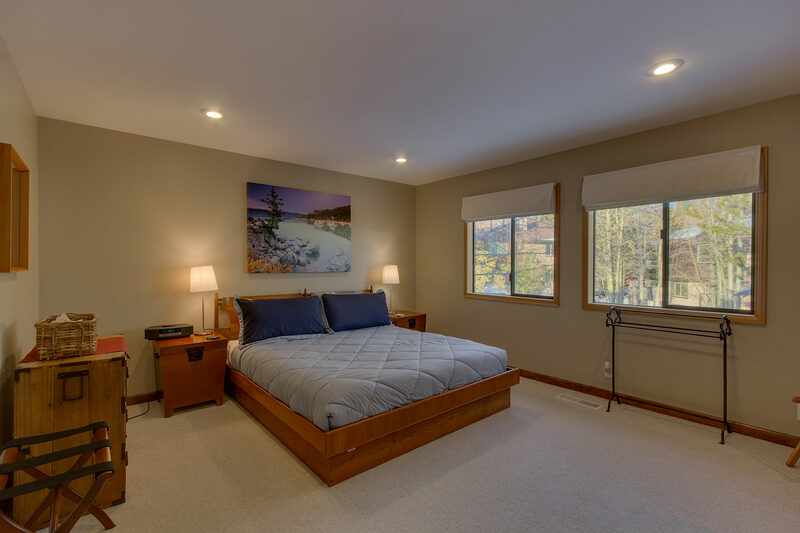 The property comes with Wi-Fi and a washer and dryer, plus access to the year-round adult hot tub, swimming pools (in summer), and tennis and basketball courts. 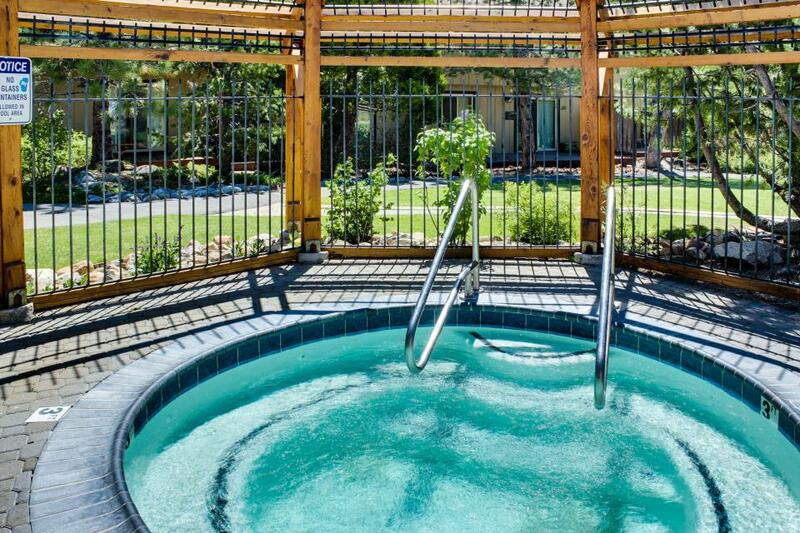 After enjoying the amenities, venture out! All north Lake Tahoe is right at your doorstep! For warm weather activities, Tahoe City boasts beautiful beaches, a lakefront bike path, and outfitters with stand-up paddleboards, kayaks, sailboats, and jet skis to explore the lake. Boaters may take advantage of the full service Tahoe City Marina and boats can put in or take out down the road at the Lake Forest Boat Ramp. Enjoy a round at the Tahoe City Golf Course or traverse the many stunning hikes and backcountry meadows. 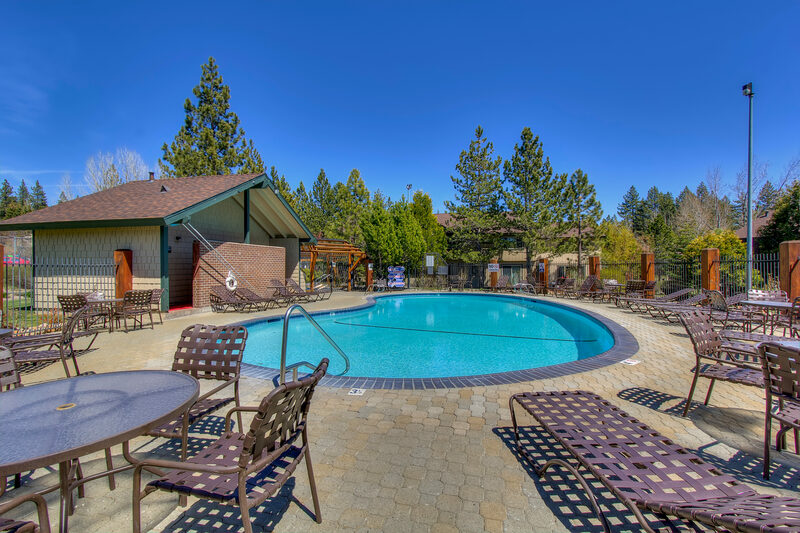 Situated a mile and a half from Tahoe City, Skylandia State Park and beach has a grassy park area complete with grills, picnic tables, public bathrooms, and a sandy beach with views toward Mount Tallac and South Lake Tahoe. The park has a boat launch for motorized and non-motorized watercraft. Dogs are allowed in the grass park area. When the snow falls, Tahoe City visitors can enjoy scenic Nordic skiing, sledding, and snowshoeing within town limits at Tahoe XC and at the new Tahoe City Winter Sports Park. You're also close to two great ski resorts—Alpine Meadows and Squaw Valley. After taking on the slopes, take the kids tubing or try out the mini snowmobiles at SnoVentures Activity Zone. Whether you prefer to ski, snowboard, or take a dog sledding tour, Squaw Valley is a great place to create lasting memories. Year round, the Village at Squaw Valley offers dining, shopping, the Squaw Valley Aerial Tram, and a variety of activities. In the summer, ride the Aerial Tram to High Camp then walk or hike along one of the scenic trails in one of the most breathtaking places in the world! At 8,200 feet elevation, admire the beauty of the Sierra Nevada Mountains with views of Lake Tahoe and Squaw Valley's legendary granite peaks. In the Aerial Tram building lobby, kids and grownups can have a blast climbing the variety of routes on the 30’ simulated Headwall Climbing Wall. If you dare, learn how to do a front or back somersault at Skyjump; all ages are welcome. Interested in gambling and nightlife? Both are a short drive away to the north, across the Nevada border. 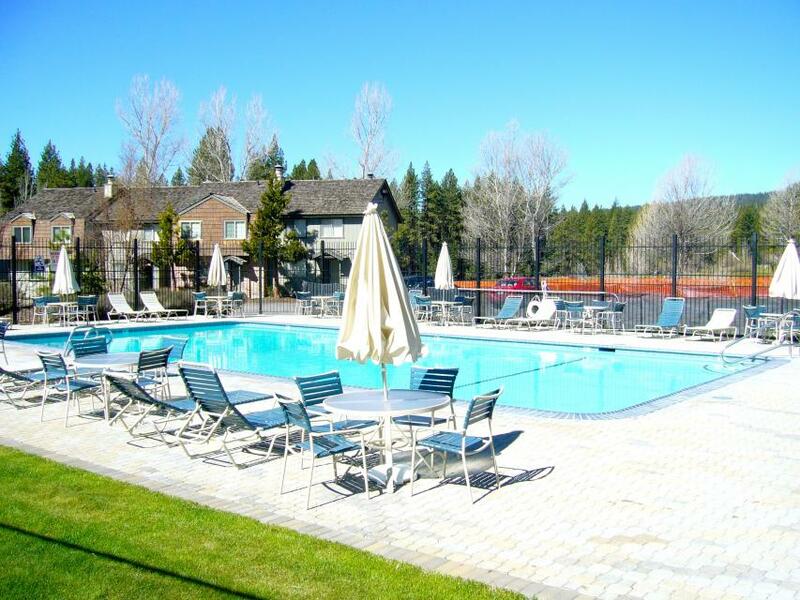 Great location in Tahoe City a short walk to the lake and near the town center. We also enjoyed being close to the pool and tennis courts. The condo was roomy and generally in good condition except both the king and queen beds were soft and lumpy. They are in need of an upgrade! The dryer was small and didn’t dry our clothes. Also the door to the utility room was off its hinges. Other than that the condo was comfortable and we were satisfied with our the condo. Condo was very nice but small. Kitchen was well stocked and general house conditions and cleanliness was very good. We found everything in working order and did not have to contact the manager for any reason. Normally I rent a house but chose to try a condo this time. The common living space (kitchen and living room), was not very big and it was a little crowded, even with just 4 adults all week. I think it would have been fine for a couple with 2 or 3 kids. The single bedroom upstairs was small and the beds were not very comfortable. Most likely this room was designed for children, not adults. We had a significant amount of snow the week we were there(that was awesome) but the walkway into the condo wasn't cleared all week by any snow removal service, which would have been fine if there was a shovel available to do it ourselves, but there wasn't! Needed to borrow a neighbor's to dig out! Overall we had a great time. I would recommend the condo to a family with a couple kids but not 4 single adults on a ski trip. All the restaurants in the area were great, no issues. 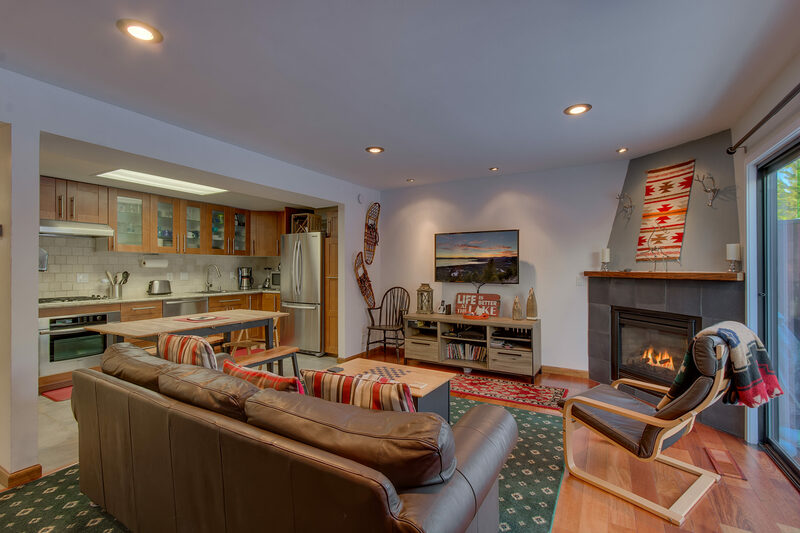 Easy access to the slopes, alpine meadows/ Squaw within 15 minutes, Northstar within 25 minutes! The property was clean and well stocked. Management was excellent. This is a great house, just as it appears in the profile. We would definitely stay there again, and have recommended it to friends. place was exactly as advertised - easy access to town and the ski hills, nicely decorated and plenty of room for the 5 people we had (very easily could have had 6-8). This location was a true vacation! 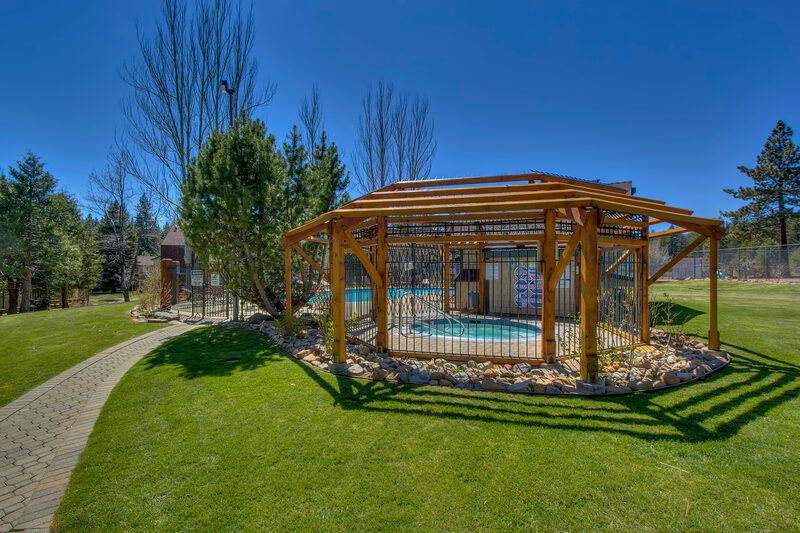 With 2 pools, the lake close-by, and a great deck with a grassy area in front, this worked out perfectly for our family get-a-way! 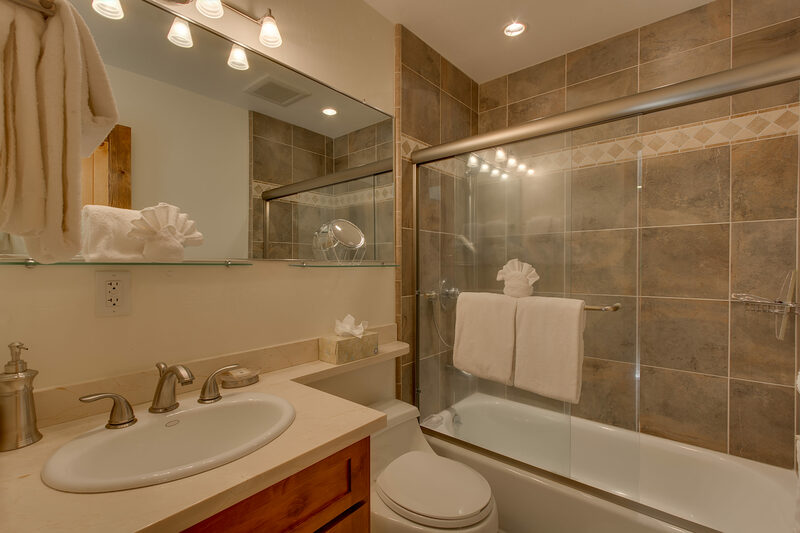 This 4 bedroom 3 bath condo was clean and updated. We enjoyed staying at this condo for a week in the summer. The condo was comfortable and had everything we needed to make our stay comfortable. The pool was nearby and it was a quiet location. 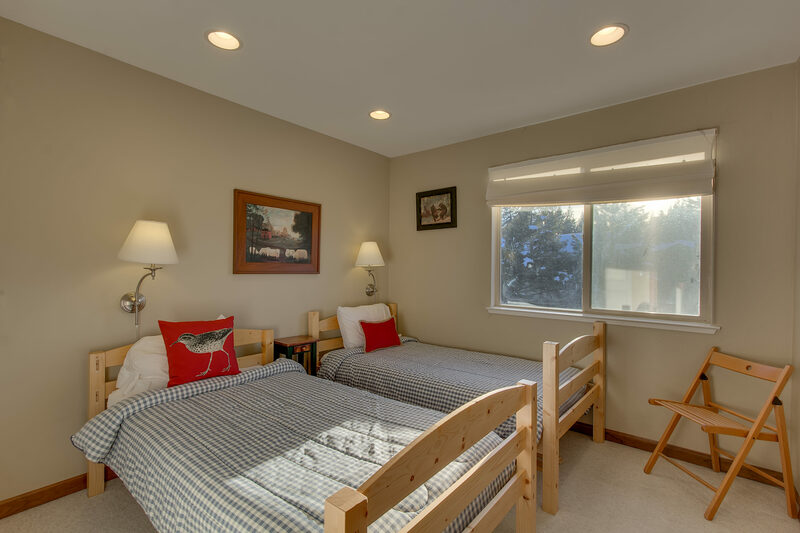 We would recommend it to families who want to be walking distance to the lake and near the center of town. Great for our family. Centrally located. There were seven of us extended family members who stayed here to attend a nearby wedding. The place was conveniently located and worked well for our purpose. Clean! Updated! Everything we expected! Trent was very responsive and accommodated the one request we had. He was very responsive and communication was fantastic.